Former Major Leaguer Moises Alou spent his only season with the Florida Marlins in 1997. Alou made it a productive one as the son of Felipe’ Alou guided the Florida Marlins to the franchise’s first ever World Series title, in only their fifth season of existence. 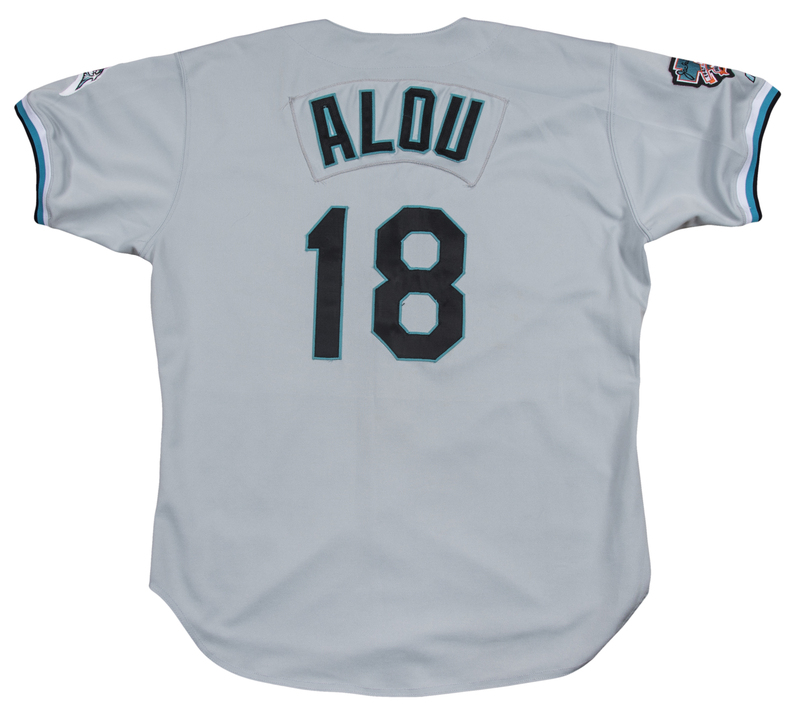 Alou batted .292 with 23 home runs and 115 RBI and was selected as an All-Star for the second time in 1997. Alou wore this Russell Athletic size 48 button-down Florida Marlins road gray jersey during the 1997 season. 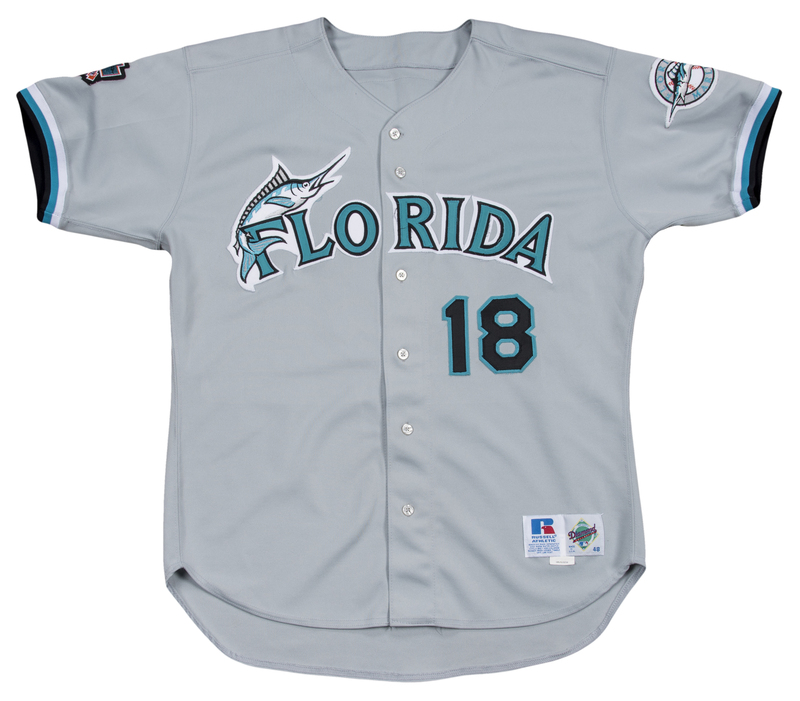 This jersey features “FLORIDA” with a marlin wrapped around the “F” sewn on in teal, black and white tackle twill across the chest. 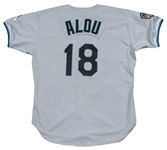 Alou’s number “18” is sewn on the right side of the buttons in black and teal tackle twill. The Russell Athletic tag is sewn on the bottom front left tail. 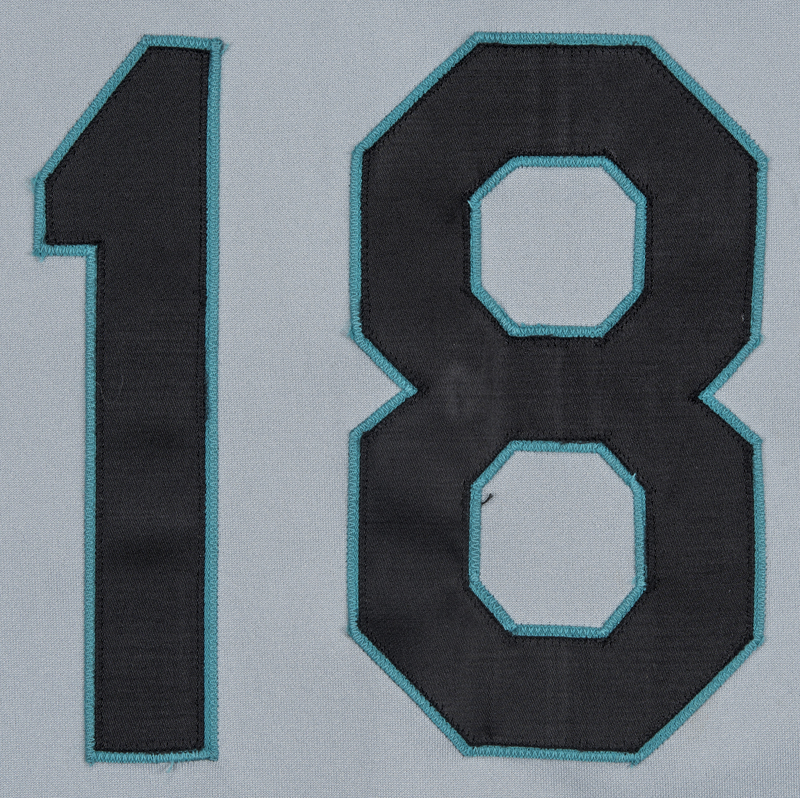 The back of the jersey has “ALOU” sewn on in black and teal tackle twill on a matching gray nameplate, while his number “18” is sewn on in black and teal tackle twill below. 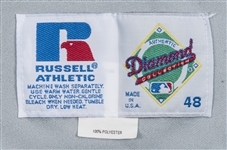 The left sleeve has the Marlins’ logo patch, while the right sleeve has the “JACKIE ROBINSON 1947 1997” commemorative patch. 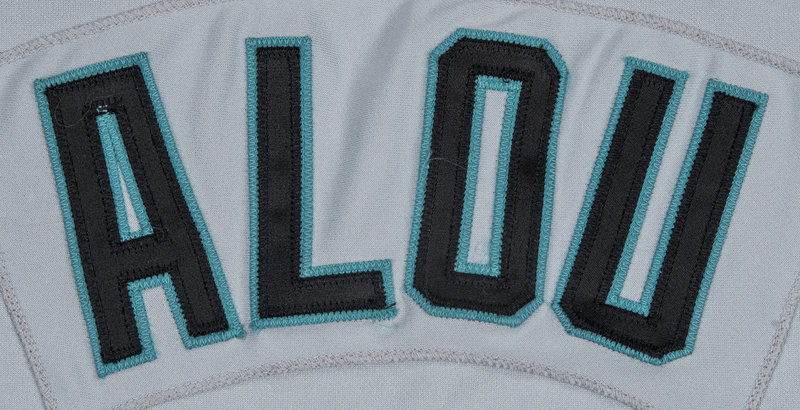 Each sleeve is capped off in a ribbed material with a white, teal and black border. 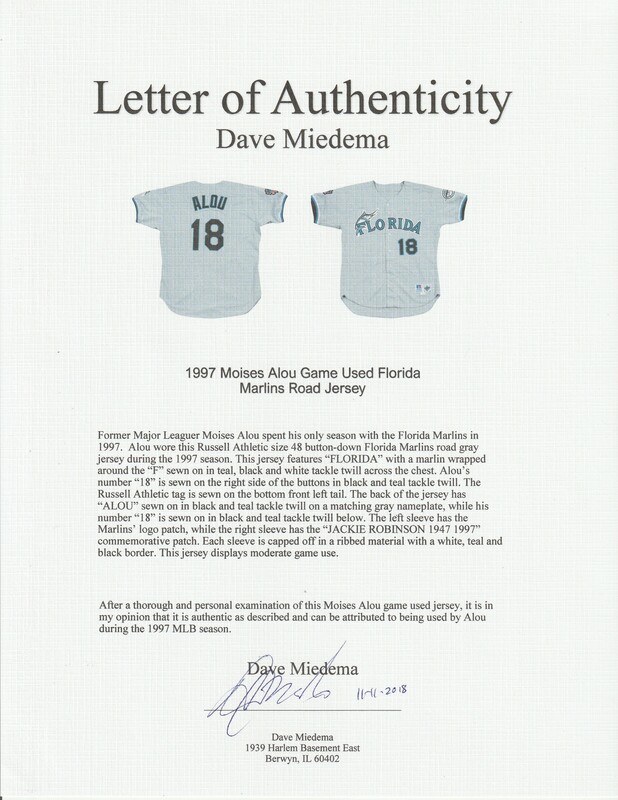 This jersey displays moderate game use and comes with a LOA from noted game used jersey expert Dave Miedema..